Kuala Lumpur, March 2017 – This is a drama which is currently on air in NTV7. It is an interesting tale of hatred, vengeance and love. Featuring the art of hypnotism, Revolving Heart is truly one of a kind. The new Prime@7 programme has brought together none other than the best actors and actresses in the country; including Frederick Lee 李洺中 (Gold Awards – Best Actor), Debbie Goh 吳天瑜 (Gold Awards – Best Actress), Remon Lim 林奕廷 (Gold Awards – Best Actress), Alvin Wong 王竣 (Gold Awards – Best Supporting Actor), Seck Fook Yee釋福如 (Gold Awards – Best Supporting Actress), Steve Yap 葉良財 (Gold Awards – Best Supporting Actor), Jordan Voo 溫紹平, Jeffrey Cheng 莊惟翔, Wayne Chua蔡佩璇. In addition, the renowned TVB actor Raymond Wong 黃浩然also joined the cast as one of the male leads. Last month, our team was was honoured to be invited to the Revolving Heart Press Conference that took place in Balai Berita Bangsar. The press conference was up for a good start as the members of the cast made their entrance into the hall. The cast took the opportunity to wish everyone Happy Chinese New Year and also a great year ahead. Before the chit chat session with the cast, the audience were blown away by the trailer for Revolving Heart --- intense and action packed with a hint of suspense. 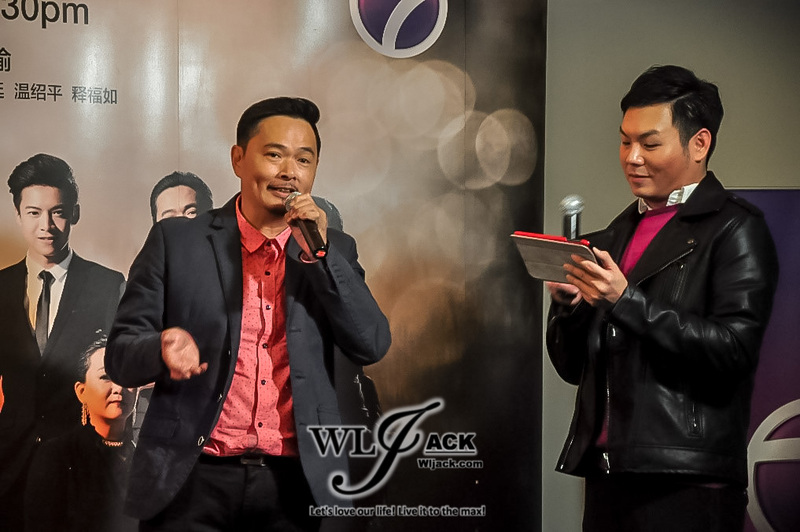 Moving on, Jyin Poh 傅健穎 performed the ending theme song for the drama series – 幸福枷鎖. The song was composed by Wu Jiahui 伍家輝, who also wrote and sang the opening theme song 不懂愛 for the series. Shir & Lynn are among the youngest in the cast, during the interview, both expressed their nervousness during large group scenes, as there are many lines and any NGs might lead to delay. They were also overwhelmed by the intensity of the acting skills of the other experienced actors and actresses. Roars of laughter filled the room as Alvin charms the audience with his witty jokes. As comedian, Alvin felt that this was a whole new experience for him; a very different element of comedy that he has never tried before. And he even revealed that he was portrayed as very “man” in the series. Fook Yee reveals that she plays a mysterious lady, holding on to a lot of secrets. While preparing for the drama, she put herself into the shoes of the character that she was playing; relating to the emotions and struggles of her character in the series. Remon plays mother of the big family. 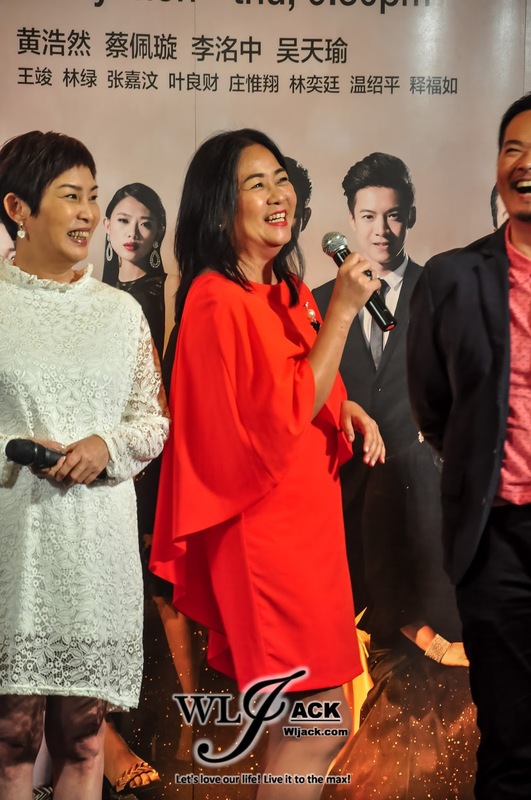 She was most amused that Steve Yap plays the role of her son. Remon finds that after all these years of acting, she really appreciates the commitment of the whole cast, which helps everyone into their own characters easily. When asked if she has confidence to win the Gold Awards again this year, she humbly say that everyone in the series deserves to win. Next, the leading actor and actresses of the series took over the stage. This is Wayne’s first experience working in the same series with Debbie. Wayne expresses that she is very flexible in her acting and can blend into different characters and work with different actors. She plays two very diverse roles in Revolving Heart, which was a very satisfying experience for her. Wayne describes her experience working with the two different male leads, from Malaysia and Hong Kong respectively. Frederick is no stranger as they have previously worked together in various occasions in the past. On the other hand, everyone was very nervous working with Raymond, as he is only in Malaysia for a very short period. There was no room for mistakes and NGs. Everyone was impressed by Raymond’s dedication, taking the challenge and learning all his lines in Chinese by heart. Frederick whom was previously known for his NGs, amazed everyone as his lines and acting was perfect during the period when Raymond was here for the recording. Perhaps this is why they say competition makes drives improvement. This is the 8th time Frederick worked with Debbie. He was put into the hotspot when asked which of the actresses he think will win the Gold Awards this year. Debbie wears two hats in Revolving Heart, as the female lead and also as the producer. It has always been her dream to have a series that bring together the best actors in the country, providing an opportunity for local actors and actresses to interact with others. It has been a very busy and stressful two years for her, it no easy task. However she is very thankful that she was given the chance to produce the series as well as being the female lead of Revolving Heart. Unfortunately, Raymond was unable to join the press conference this round. 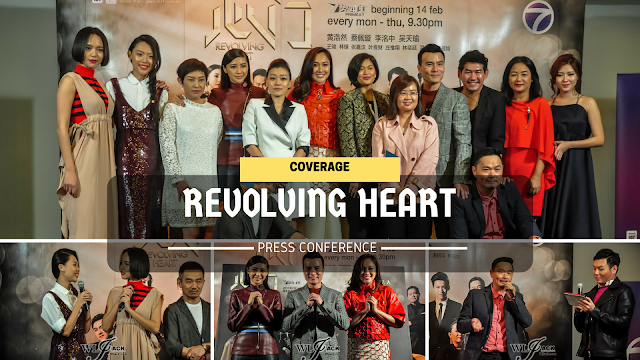 However, he will be coming to Malaysia later this month for promotional activities lined up for Revolving Heart. Revolving Heart is already on air in ntv7 every Monday till Thursday 9.30pm. Do check it out as it is really a good show!